The local mobile oil change business is important for your car to perform at its best. 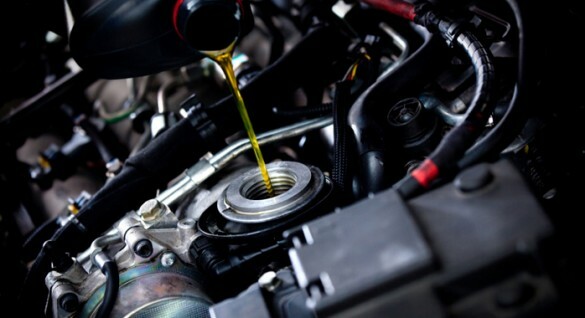 You will find quite a number of oil change businesses across the nation, offering quick mobile oil change along with other car maintenance services. With the number of people commuting to the office everyday, the mobile oil change business can be a profitable opportunity for you that does not require you to worry about the patent application process. People are always looking for quicker and efficient fixes to their problems. When it comes to their cars, the demand is nothing less. Obviously, cars are part of many individual’s lifestyles. Apart from being a novelty investment, it brings about a sense of stability and status too. Since people car a lot about their cars, you can build a mobile oil change business by providing them the best service. Even though the oil change is certainly a big part of the maintenance process, your business can offer a variety of other options too. To increase your profits, might offer anything from changing tires to part replacements. The mobile oil change business requires quite an extensive bit of knowledge and expertise, unlike opening an Outback franchise. So, to start your own business, you might need to be one of the best yourself or hire someone who knows the trade already. With some basic marketing, the quality of service would ensure your customer growth. To be really successful, you would also have to ensure competitive rates and good compensation policies. Thus, it is important to do your homework properly if you want to have a successful oil change business. Many companies have been doing the oil change business for a long while. Andy’s Mobile Oil business has been operating for more than a decade now. They are know mostly for mobile oil change services with filter and oil check. They take appointments on the go and ensure quality service at the clients’ location too. The services are thoroughly personalized and priced reasonably. Undoubtedly, their mobile oil change business is proof of business model. Location Lube, a premier mobile oil change service provider has been in the segment since 1987. Their extensively equipped oil change vans provide the best of the on-site car and automobile maintenance services. And with the company offering franchise opportunities to expand their reach, it could be another avenue to enter the mobile oil business. Finding a location for an oil change business requires special consideration, unlike opening a handyman business. You will have to consider zoning regulations for every single space you consider. Other businesses have to do this as well. But, you must also worry about whether you are renting or purchasing your commercial space. Oil change companies require special flooring or lifts to complete the jobs that bring in profits. Make sure you keep these things in mind when starting an oil change business on your own, regardless of whether it is a franchise location or a brand new oil change company of your own making. The new oil change near me opened my eyes to a whole new business opportunity, and you definitely want to hear about this one. Valvoline is not a new name in the oil change business, with 900 locations in the United States. However, many entrepreneurs still have not learned of this excellent oil change franchise opportunity. Valvoline provides motor oil replacement via drive through. In today’s age, who wants to get out of their car when they do not have to? That is why this is such an excellent oil change business idea for entrepreneurs to consider. If you offer drive through oil changes, potential customers will certainly choose you over the repair shop alternative. If you want to open a new business and are looking for a business opportunity in the auto industry, consider a Valvoline franchise. Or, if you are up to it, consider starting your own drive through oil change place from the ground up. This is an excellent opportunity to get in on now. The mobile oil change business is a market that will vary on your geographic location. The business would definitely require some hard work and upfront marketing, but once you start having your own base of loyal customers, you will not have to worry about “breakdowns” in the business.